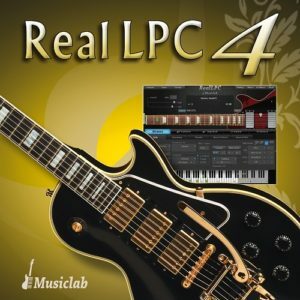 RealLPC 4 virtual guitar instrument brings the incomparable Les Paul Custom Guitar sound to your studio. 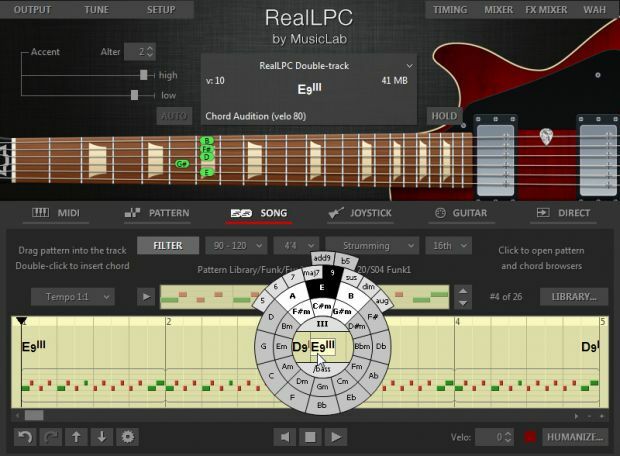 RealLPC – sample-based virtual instrument with an innovative approach to guitar sound modeling and guitar techniques emulating on a standard MIDI keyboard. High quality dry samples recorded directly from Les Paul Custom pick-ups let you easily create any desired guitar sound using your favourite amplifier simulator. Gibson´s Les Paul® Custom, a higher end variation of the Gibson Les Paul guitar has been used by the majority of world famous musicians, spanning generations and genres, such as Wes Montgomery, Al Di Meola, Pat Metheny, Chuck Berry, Jeff Back, Peter Frampton, The Beatles, The Rolling Stones, Led Zeppelin, B.B.King, Bob Marley, Eric Clapton, Carlos Santana, Gary Moore, Eddie Van Halen, Lenny Kravitz, and many others. RealLPC is equipped with powerful Pattern Manager containing complete MusicLab Guitar Pattern Library for easily creating guitar accompaniment tracks. All you have to do is to find the appropriate rhythm pattern[s] in the Pattern Manager tree view, copy it to the needed number of measures, start your sequencer and use MIDI keyboard to play chord changes, or alternatively add chords to a MIDI track via sequencer´s editor..
RealLPC ships with IK Multimedia AmpliTube 3 Custom Shop software, which is a complete guitar amp modeling solution and effects powerhouse with ultra accurate models of the most sought after gear.